Mix first six ingredients. 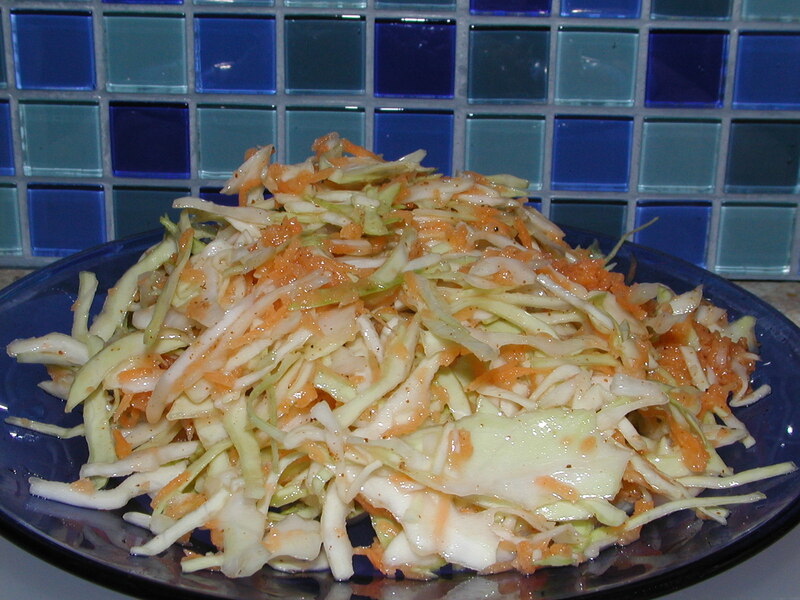 Pour mixture over cabbage and carrots. Stir. Enjoy! Adapted from a Comfy Belly recipe.